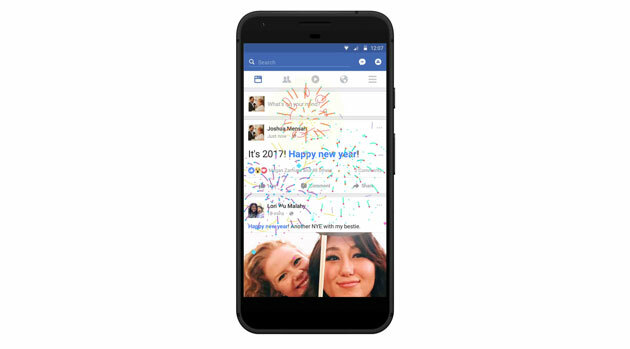 This New Year Eve and January 1st, you can set off fireworks on your Facebook News Feed, use cool effects on Messenger, stickers on Twitter and Instagram and enjoy Google Doodle. 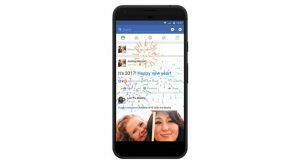 Facebook allows you to enjoy fireworks this New Year on your news feed. 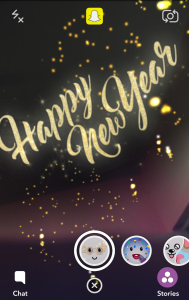 The phrase “Happy New Year” will appear blue in the feed. You can click it on web version or tap it in mobile app and fireworks will set off. You can go live with cool masks and filters and greet your friends. 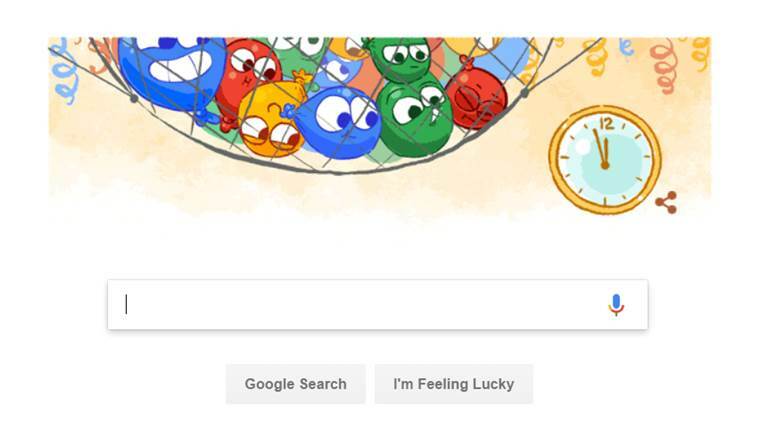 Google’s New Year Eve’s doodle shows colorful balloons in a net waiting for the clock to tick 12 at night so that they can be released. Twitter’s stickers look a lot like Snapchat filters. You can attach New Year’s Eve stickers to photos that show scenes in Dubai, London, New York, Paris, Rio, Sydney, Tokyo and New Delhi. The live videos will also show fireworks. 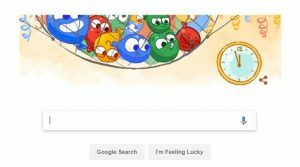 You can search for stickers with names. 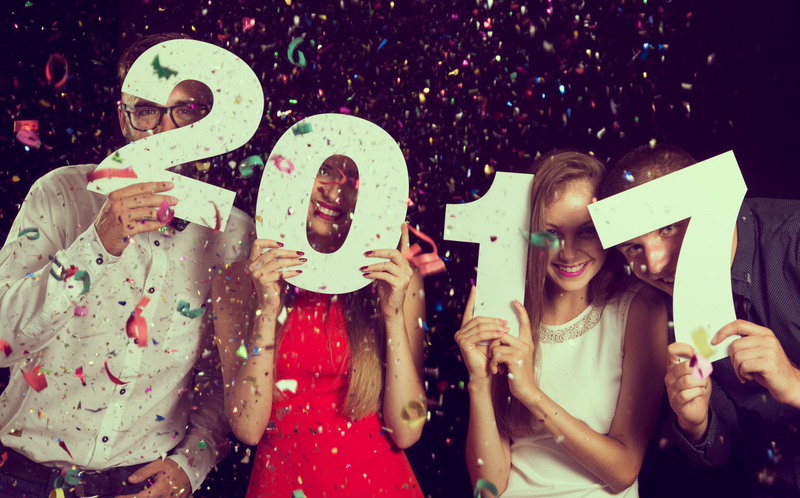 A firework emoji will appear with hashtag #HappyNewYear just like last year. Instagram launched the stickers’ option for stories on Christmas. Now, the stickers of New Year 2017 have been introduced to enjoy the experience and greet friends. 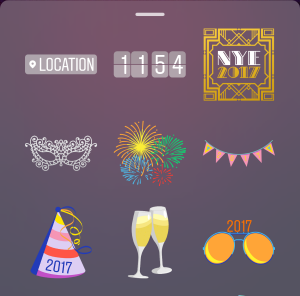 Snapchat has also launched 2017 special filters and lenses with fireworks. 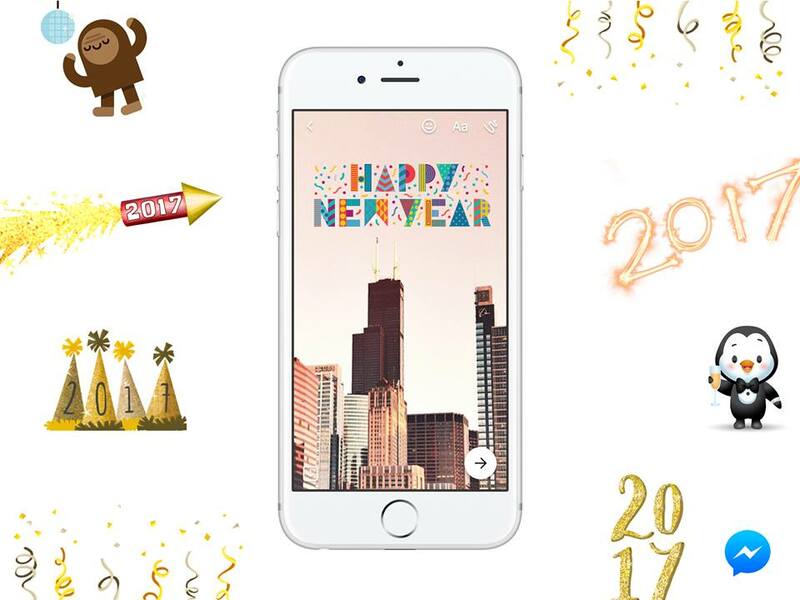 The post Wish New Year with Facebook Fireworks, Messenger Masks, Google Doodle, Snapchat, Twitter & Instagram Stickers appeared first on TechJuice.